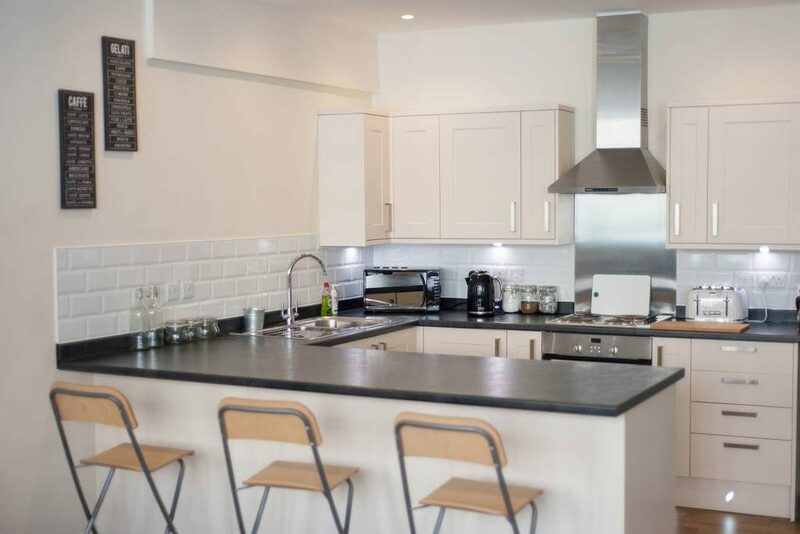 This sizable and sophisticated home in a fantastic location in the true heart of Bristol sleeps up to 6 guests comfortably. 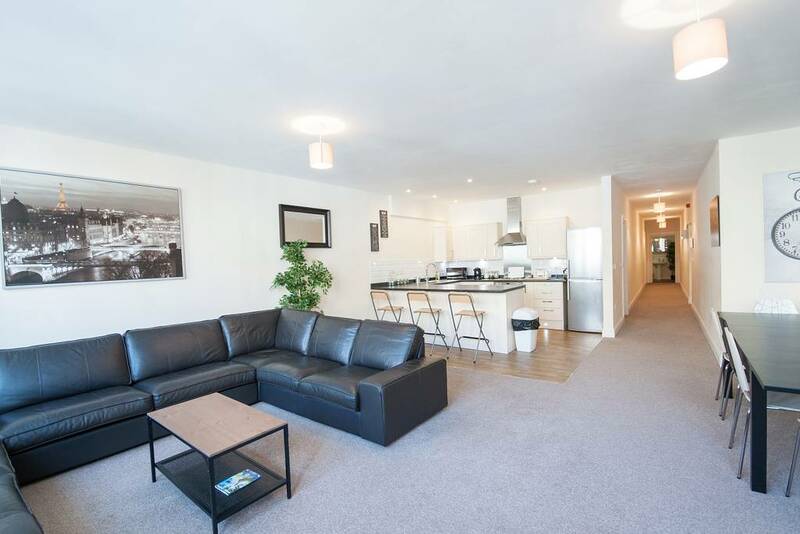 The home is located in the centre, surrounded by many shops, attractions, restaurants and coffee shops. 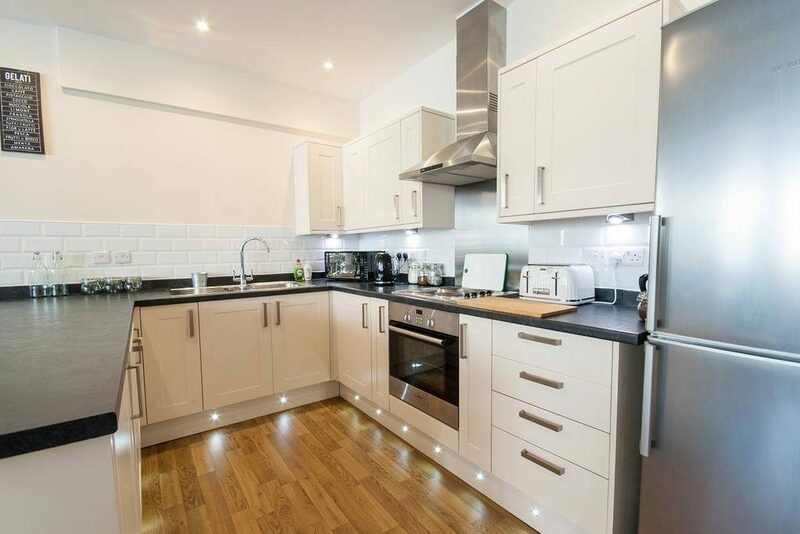 The home has been recently redecorated in a contemporary British and clean style. 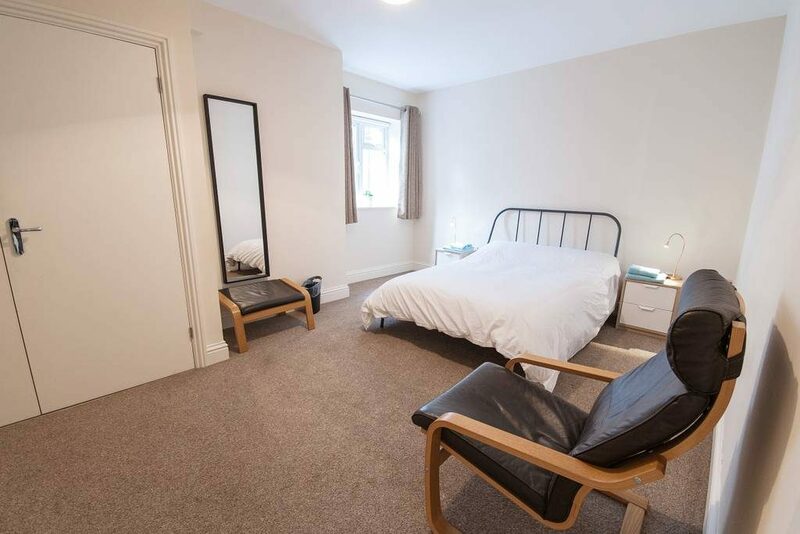 All the beds have comfortable mattresses and each room can sleep two guests. 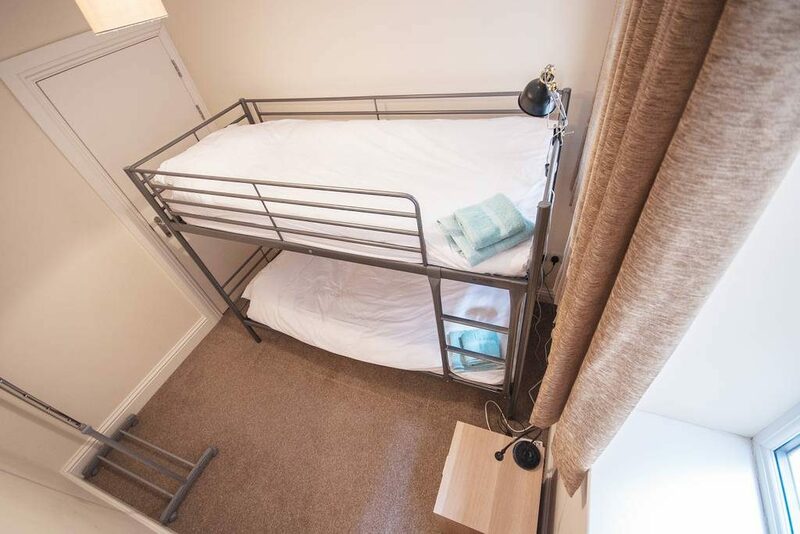 One bedroom comes with a king size bed, one with a double bed and the third one features bunk beds. 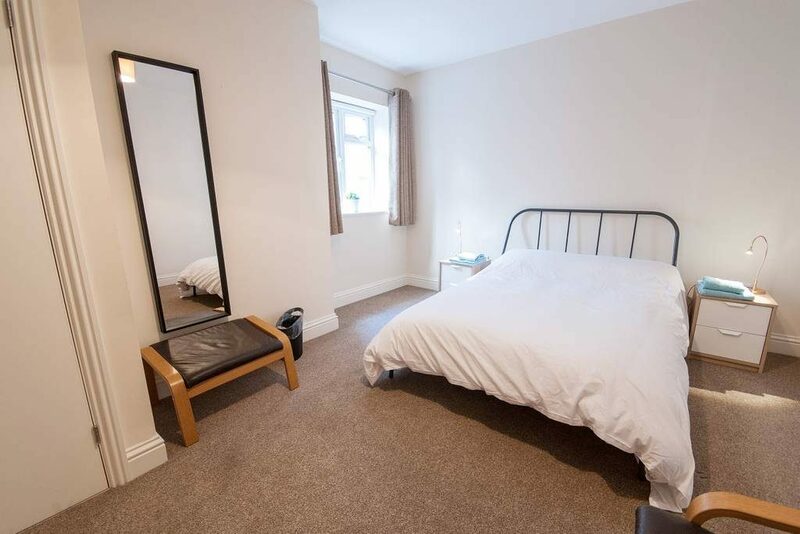 All bedrooms have comfortable carpet throughout. 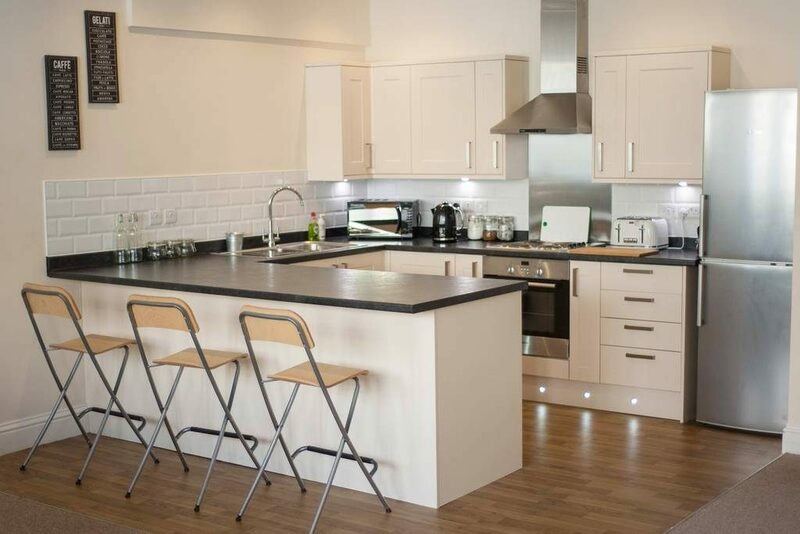 The large and bright kitchen is fully equipped and offers a great space for communal cooking and gathering. It also benefits from a breakfast bar. The kitchen area opens up to to the homes modern dining room as well as the living room area. The entire open living area offers a great place to spend time with your family or friends. 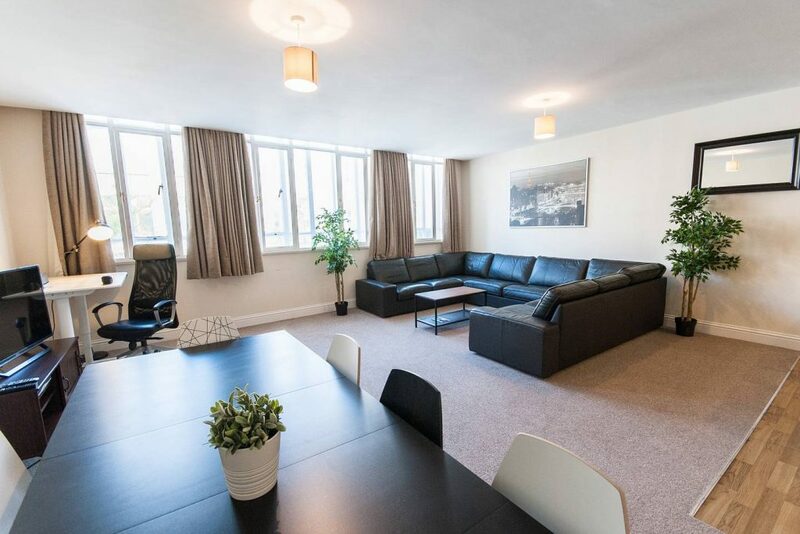 The living room has a very large sofa and a mounted TV, perfect for cosy evenings. 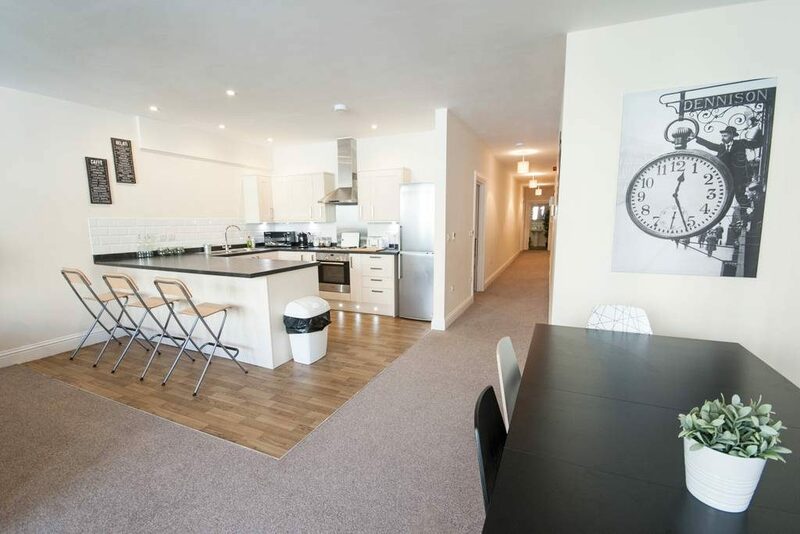 It also features several large windows towards the high street which make sure the living area is supplied with a lot of light. 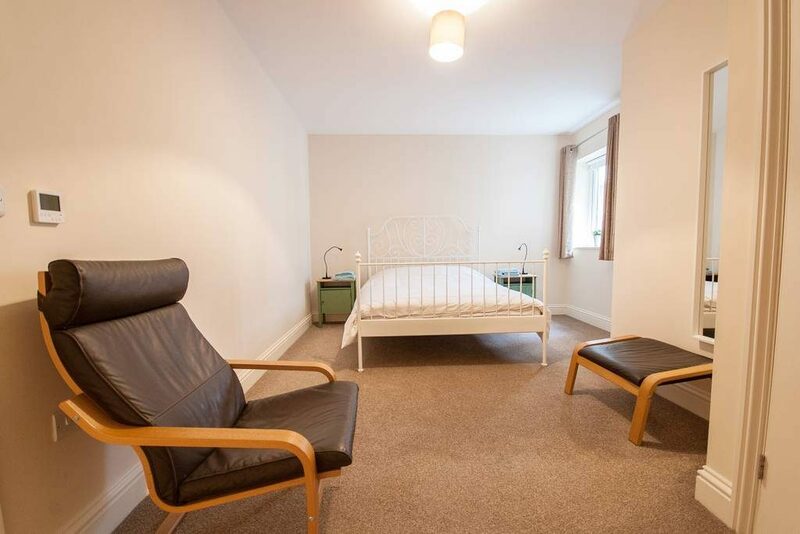 All bedroom are on the opposite side of the home, ensuring a good night’s sleep. It’s also equipped with high-speed WiFi and plenty of space, such as a desk and workstation to get work done should you need it. There are also a washer and an iron should you want to use them. 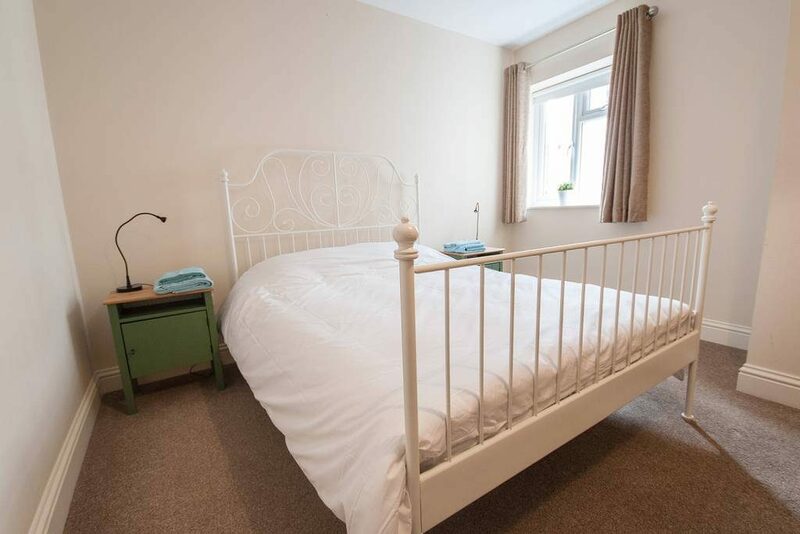 The home is located in the very centre of Bristol close to many attractions and is walking distance from many of the town’s historical sites such as the cathedral, St. Marks and others as well as lots of other things to see and do around town. The area around the house has a lot of cute local shops, culture and many great restaurants and coffee shops. The neighborhood itself is quiet and safe and has a lot of green spaces and parks.